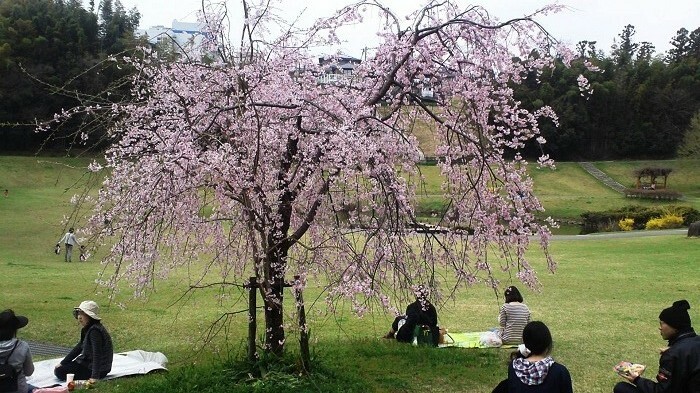 It’s getting warmer and warmer day by day. 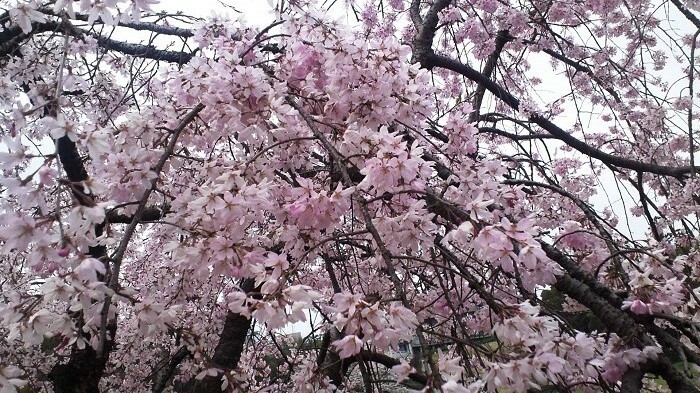 Now the cherry trees are in full bloom in Kumamoto. 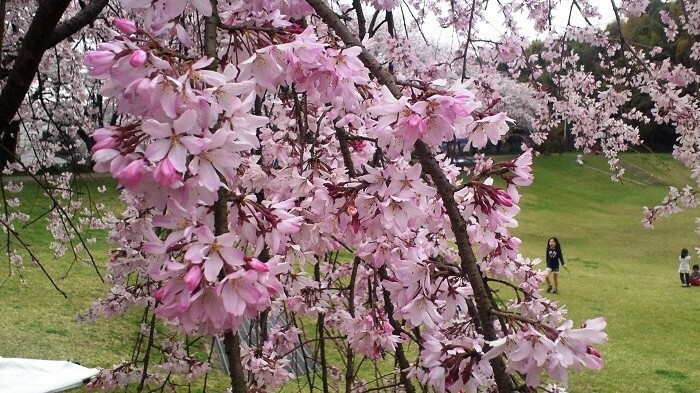 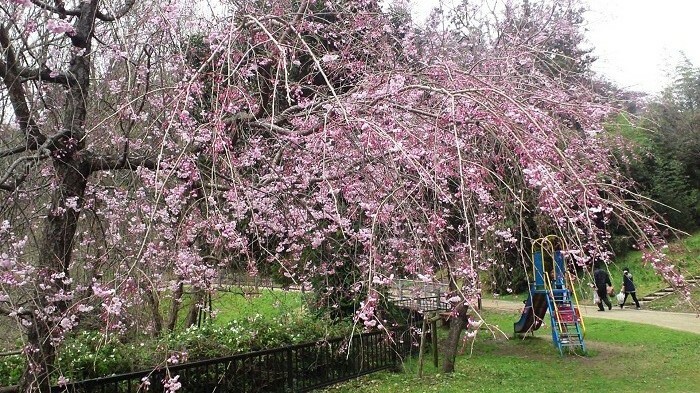 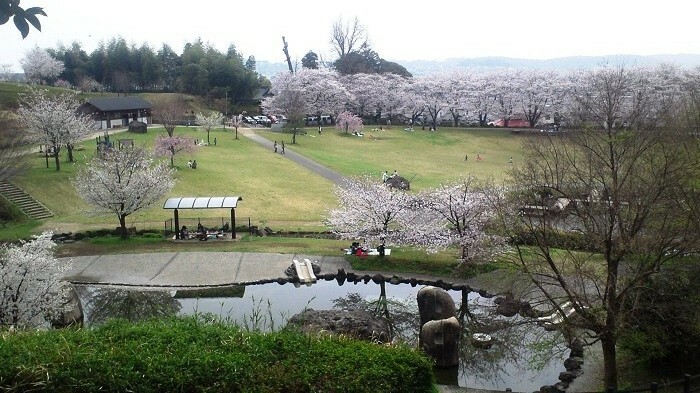 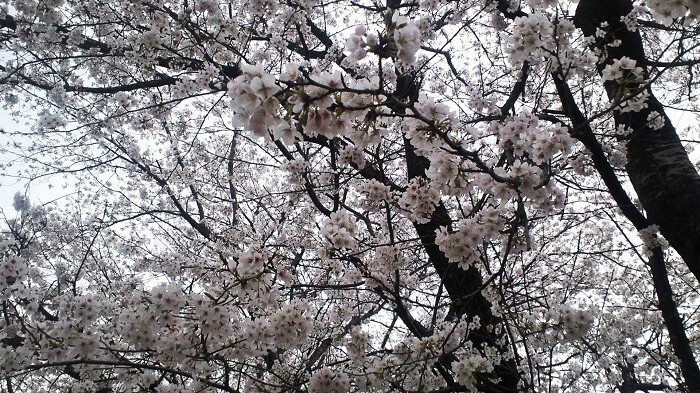 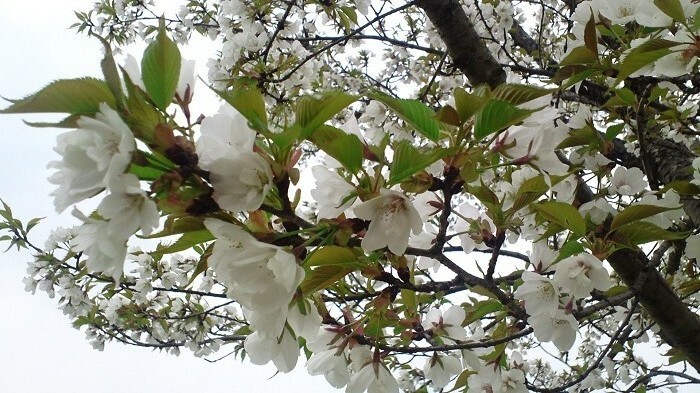 Last Saturday, my family went to see the cherry blossoms in a park which is very close to my house. 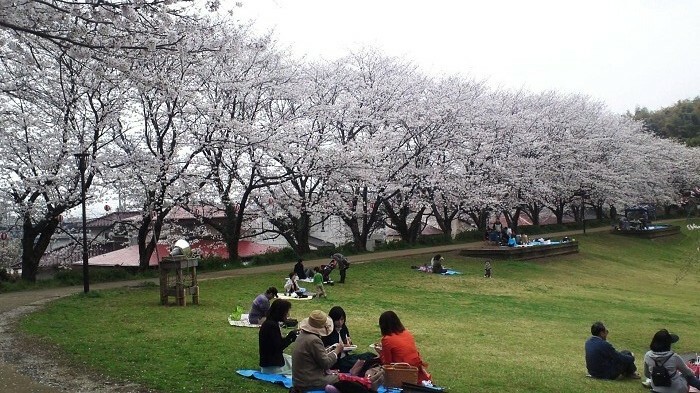 People were having a picnic lunch under the trees. 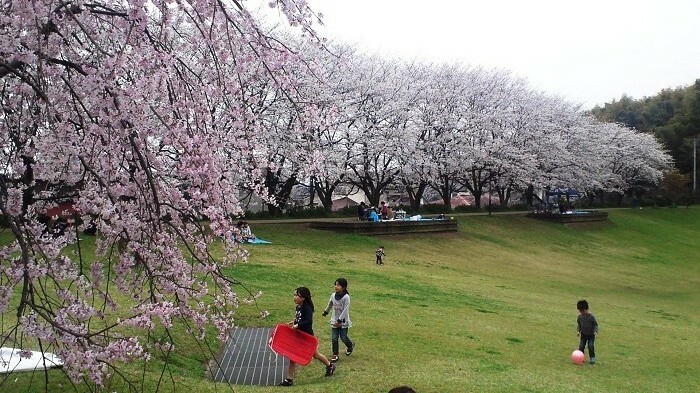 Children were sliding down the grassy slope, and playing on the grass with a ball or jump rope.